Roseland Partners operate a partnership culture internally, therefore we don’t work to individual sales targets or answer to shareholders. This helps us to stay flexible, see the bigger picture and take a long-term view, which in turn means that we are able to listen harder and give better advice. Externally we seek to build partnerships with the individuals and companies we work with, and we offer the same high standard of service to both our clients and candidates. We value both equally and believe in the importance of nurturing long-lasting relationships – and as such we pride ourselves on being personable, approachable, and listening and learning. This doesn’t just benefit our network and reach, but also makes our work much more rewarding. We don’t believe in a face time, desk-bound culture. Roseland Partners is a location-independent business, and utilises the latest technologies to share information efficiently. We use our time wisely and are not hampered by multiple daily meetings. We are small, efficient, flexible, have a clear purpose and manage our workload closely, which means that we are better able to tailor our service to suit the needs of both our candidates and clients and maintain a high success rate. We are committed to giving honest advice, and working with like-minded individuals and businesses. We will be transparent about our ability to deliver on a potential project or how well placed we are to represent a candidate from the outset. For us, our success is not measured purely in financial terms but also by the quality of the work we produce and the longevity of relationships we build. Additionally, we operate with a clear code of ethics for ourselves that dovetail with our values. As a small business we know Roseland Partners can’t change the world, but we aim to have a positive impact on it where we can. 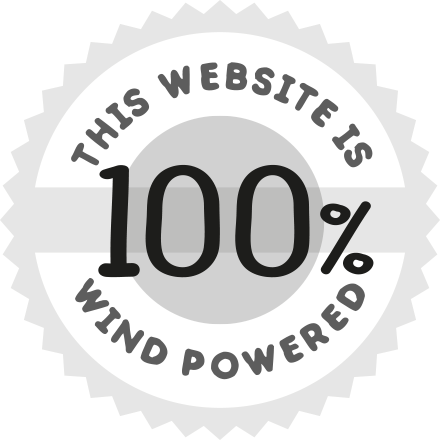 We use one of the leading green hosting companies for our website, Kualo. Aside from our business cards, we provide our company information digitally to cut down on paper waste. Additionally, our business cards are made from recycled paper. We use sustainable materials where possible (e.g. reusable coffee cups) and recycle all other materials that we can. We use energy-efficient lighting in our offices. We do not travel unnecessarily. Positive impact isn’t just about the world around us – it’s about people and companies too – we like to work with businesses with a great company culture who respect and nurture their employees. We foster this environment at Roseland Partners too – being happy in what we do is one of our top priorities! We have chosen not to bank with one of the leading UK high street banks, and instead bank with a smaller, more ethical institution. We choose to buy from local and ethical businesses day-to-day. Paul’s offers complimentary therapies, home visits, workshops, events and advice to those affected by cancer who are over 18 years old. Louise personally benefitted from the services offered by this small Battersea based charity when she was receiving treatment in 2015/16, so is keen to support their brilliant work. The Alzheimer’s Society invests in research into dementia care, cause, cure and prevention, as well as providing advice and support for those affected by it. Over the last few years Caroline has seen the affects Alzheimer’s has on sufferers and their loved ones, and so feels passionate about supporting this cause.